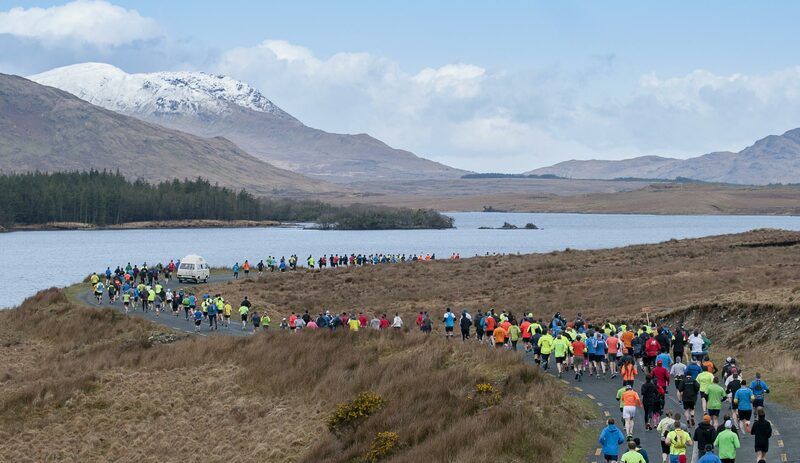 Welcome to the Connemara International Marathon! 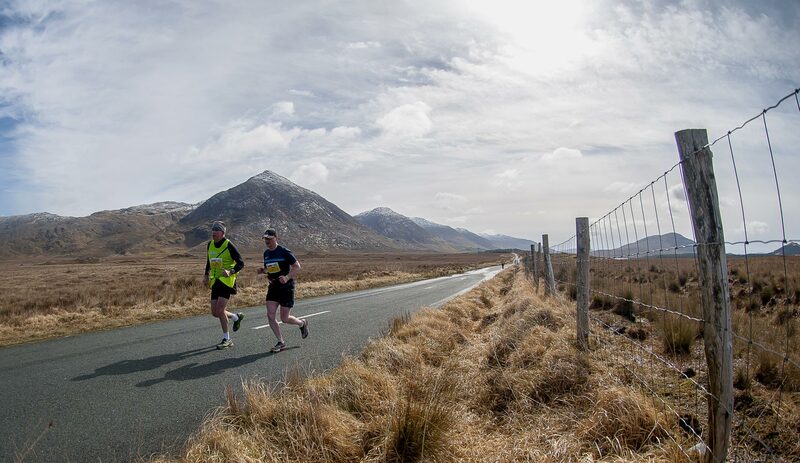 The half marathon starts in Leenane and finishes 13.1 miles away in Maam Cross. Expect some great scenery, a great atmosphere at the start area and two tough hills! 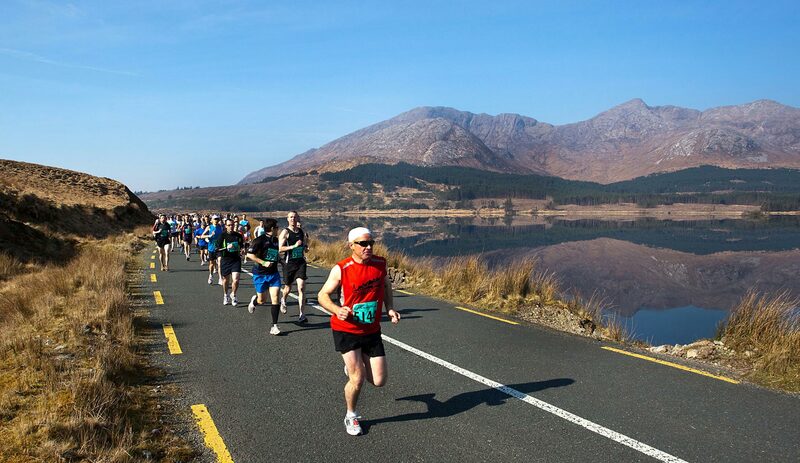 The full marathon starts at Lough Inagh, takes in the half marathon course and finishes in Maam Cross. Expect a stunning start by the lake and a tough second half to your race. The ultra marathon takes in the full and half marathon courses and starts and finishes at Maam Cross. 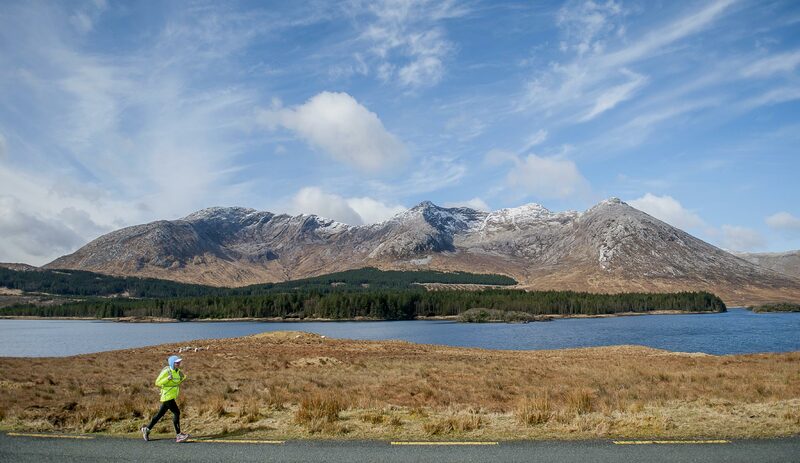 Expect 39.3 miles of everything Connemara has to offer! Where do I get my number? If your number was posted to you, just show up at the race buses on race morning. If you are collecting your race number you can do so in Galway or Clifden. All participants should get the race buses to the start lines. You do not need to book a seat on the buses, just turn up at any of the pick-up locations and take your seat. We have five different start times. The ultra marathon runners are first off at 9am, with the full at 10:30am (walkers 9:30am) and the half at 12pm (walkers 11am). Where do I get spectator bus tickets? Spectator buses pick up in Galway, Oughterard and Clifden and go to the finish area at Maam Cross in plenty of time for all race finishes. Bus tickets are available online and must be purchased in advance. 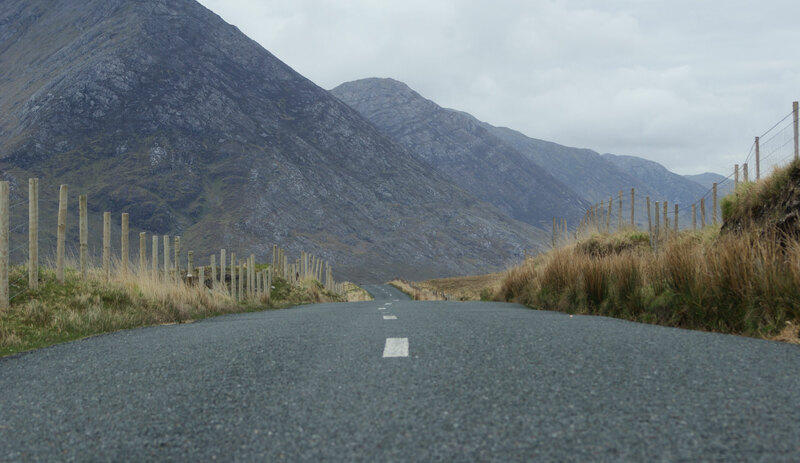 The weather in Connemara is very unpredictable. Over the years this race has been run in glorious sunshine and harsh bitterly cold conditions (remember 2016!). So far things look great for this year. 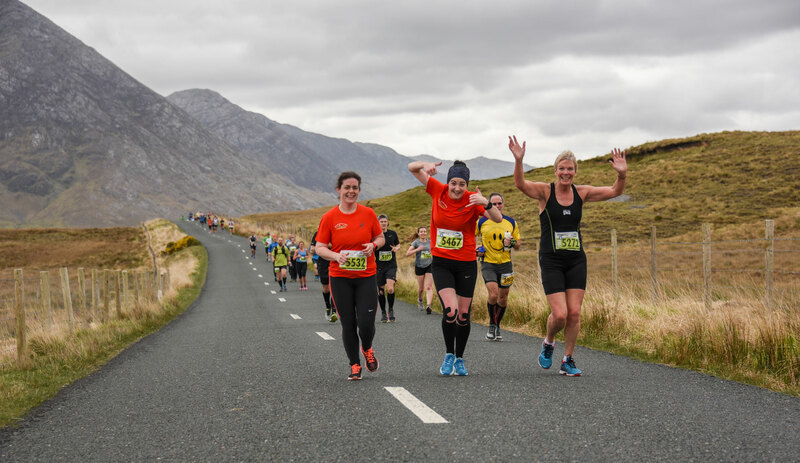 Wondering about pacers, showers, course profiles, t-shirts, medals, after parties, deferrals, accommodation, water stations, switching distance, merchandise… You’ll find all the answers on this website!